Sitting on the southwest corner of Lawrence, home of the University of Kansas, and within riding distance for the Jayhawks, is Clinton State Park. 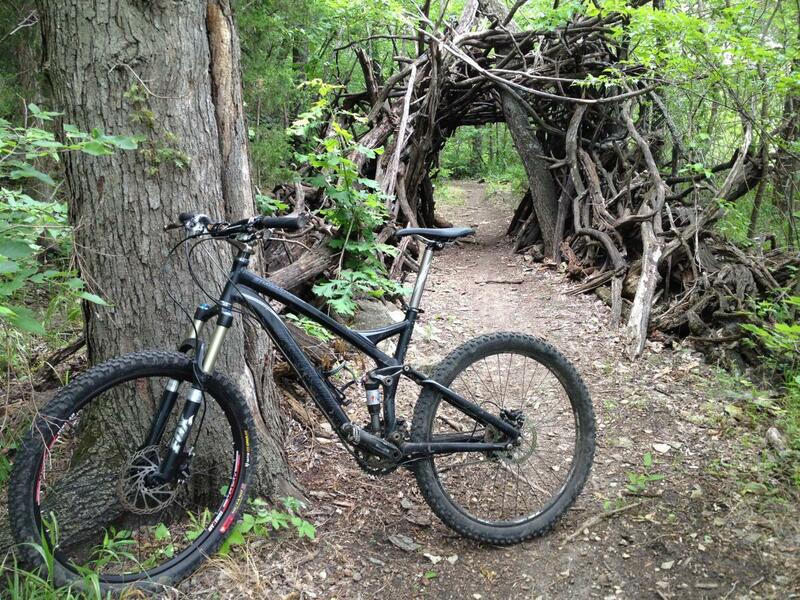 This venue hosts a collection of rugged trails weaving through the gnarly woods on the edge of Clinton Lake. 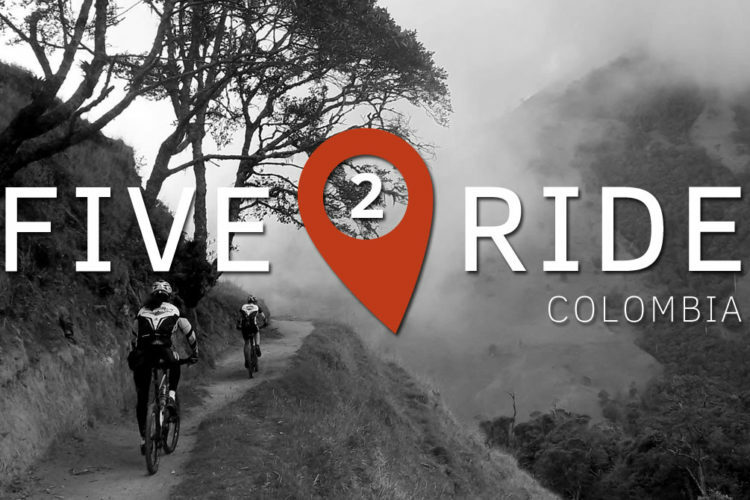 Even good riders are likely to dismount a time or two on their first visit, and repeated visits will improve a new or intermediate rider considerably. 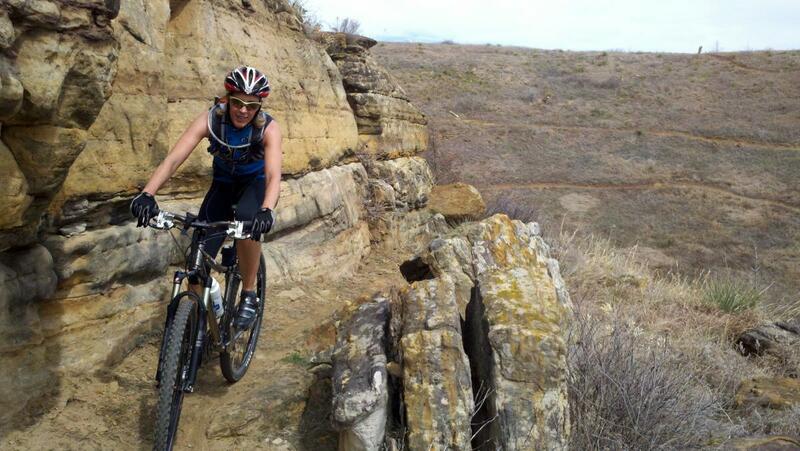 It’s hard to beat these trails for their combination of accessibility and progressive challenge. 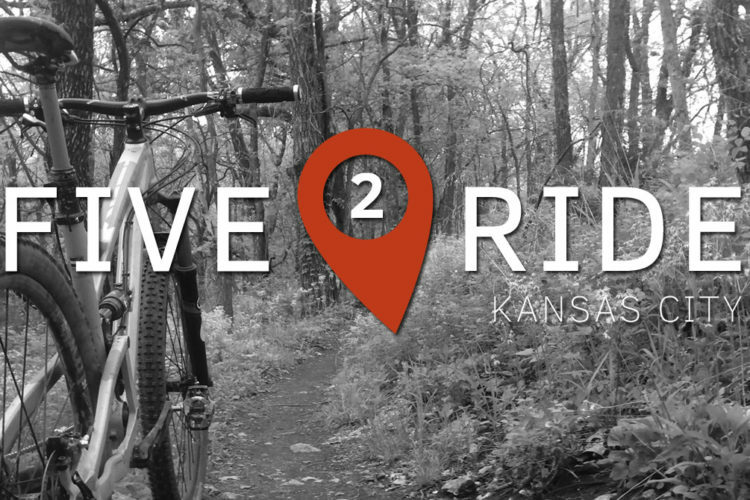 Kansas’s other big school, Kansas State (home of the Wildcats), also sits in close proximity to some excellent mountain biking. While not actually within riding distance, a short jaunt by car into the nearby Flint Hills will land riders at Fancy Creek State Park. While the mileage isn’t high, the technical challenge is, with oodles of pointy rocks and some serious hills. The area is also blanketed by an unusually dense mixed forest, providing a respite from the prairie heat. Perry Lake has the greatest available mileage of any ride in this list. But it’s not just quantity, there is plenty of quality singletrack here as well. The frequent rough rocks aren’t to everyone’s liking, but they do add to the variety this mileage has to offer. 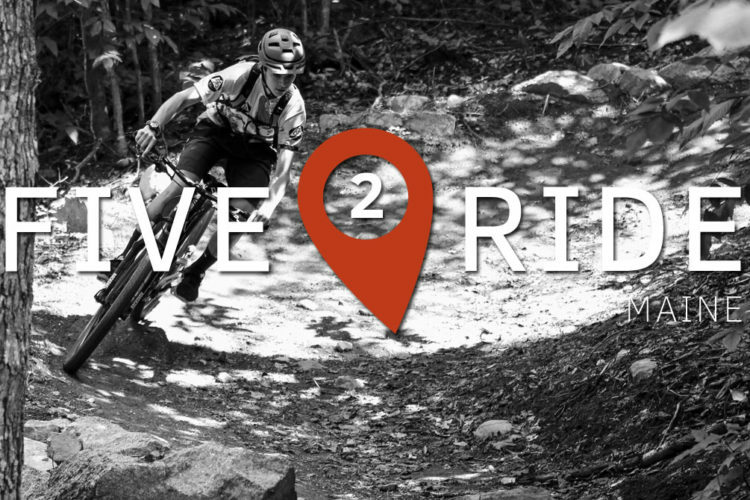 While there’s nothing truly dangerous here, the trails do challenge with bumpy surface, tight turns, and occasional steep pitches that must be hit with momentum and balance to complete. 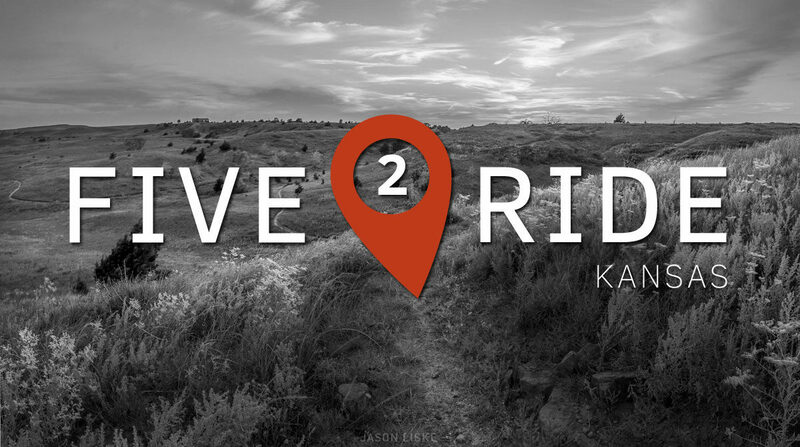 While the Missouri side of Kansas City has gained a reputation for challenging singletrack, don’t let that make you think the Kansas side has been shortchanged. 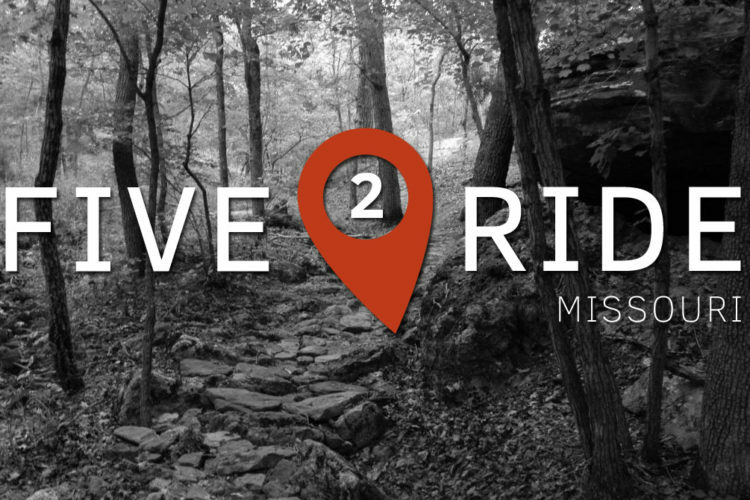 Tucked into the western suburbs is Shawnee Mission, a collection of stacked loops with rocks galore, super tight singletrack through the local woods, and enough mileage to tax the legs of most riders. 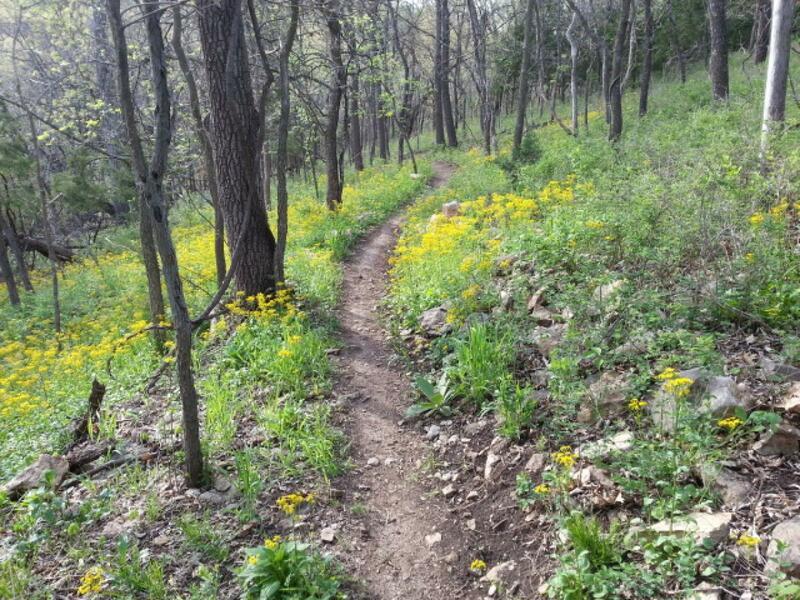 Switchgrass is the undisputed king of Kansas singletrack. 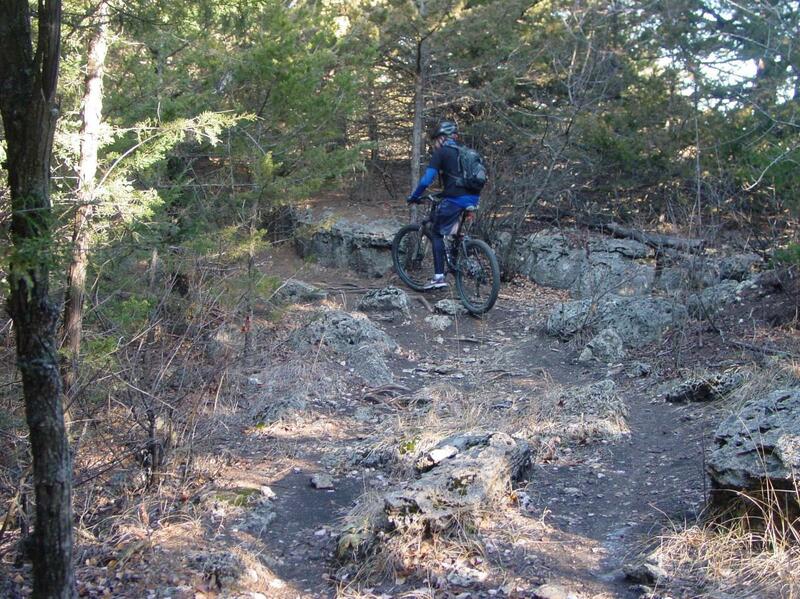 Immediately upon its opening, this trail system in Wilson State Park vaulted to the top of any and every ranking of Kansas trails, where it has remained ever since. 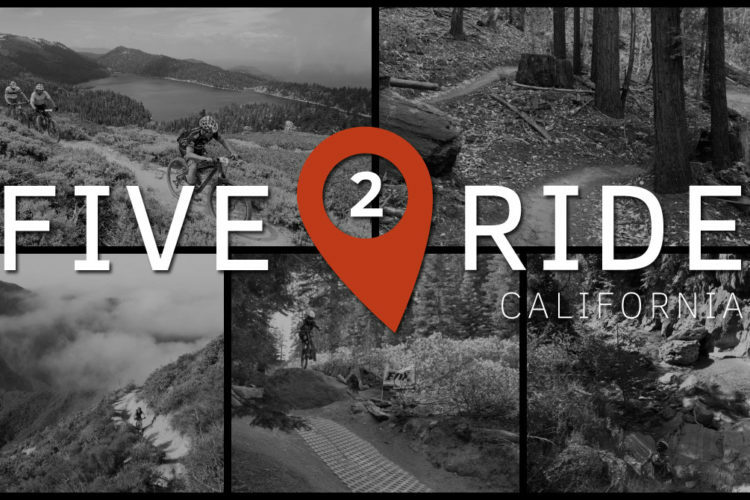 With over 20 miles of high quality singletrack threading the hills above Lake Wilson, ranging from blindingly-fast to wonderfully-rocky, there’s enough here to entertain most riders, and to keep them coming back. 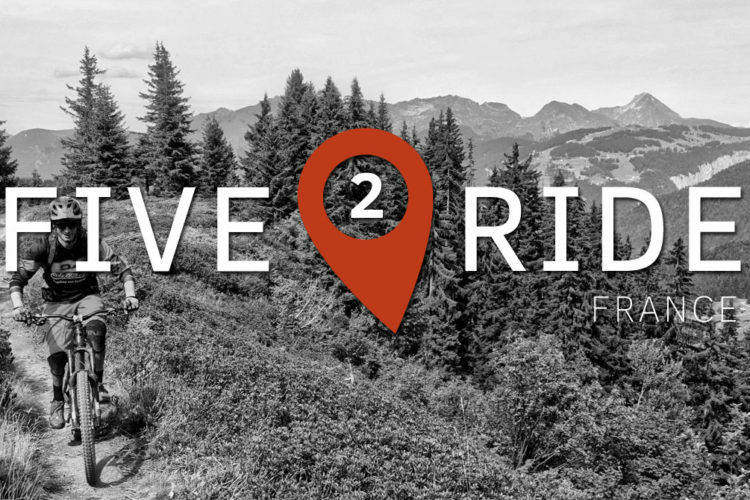 With plenty of camping near the trails, this is also a good weekend destination for those who don’t have the time to go all the way either east or west; there’s great riding right here in the middle.